That single quietly extended DiMaggio’s hitting streak to 18 games. When the Yankees returned to Cleveland in mid-July, having overtaken the Indians for first place in the American League, the streak was front-page news nationwide. Fans welcomed the diversion from the drumbeat of war that was dominating the rest of the news. The Yankees pounded the Indians 10-3 in the series opener on July 16, opening up a six-game lead in the standings. 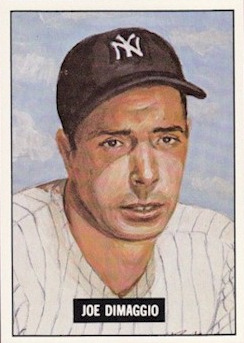 DiMaggio singled in the first inning to snap the suspense, and added a single and a double to finish 3-for-4. His hitting streak stood at 56 games. The crowd had no ambivalence in the bottom half of the fourth, when Gee Walker hit an inside-the-park home run to tie the game. The game was still tied in the seventh when DiMaggio came up with one out and no one on. At third, Keltner was standing even farther back this time, and even closer to the line.17Keltner had barely gotten DiMaggio out on his hard shot down the line in the first, and wanted to be ready for another one. That’s exactly what he got. DiMaggio swung at the first pitch, another curveball on the inside corner, and hit a carbon copy of his first-inning line drive. Keltner was better positioned this time but still had to make a quick play. Once again, Keltner backhanded it behind the base, threw across his body, and barely beat DiMaggio. Keltner had robbed DiMaggio of two doubles.18 The nervous crowd started to weigh the consequences. In the ninth inning the Indians gave the crowd a glimmer of hope both for a win and another DiMaggio at-bat. The Yankees sent five men to the plate without scoring, turning over the lineup for a possible 10th inning. 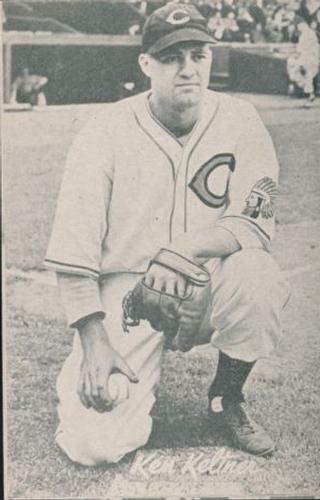 Then the Indians started the bottom of the ninth with two singles off Lefty Gomez and a pinch-hit triple by Larry Rosenthal off reliever Johnny Murphy. It was 4-3, and the tying run was on third with nobody out. But hopes of extra innings vanished just as quickly as they arose, with a grounder to first, a grounder to the pitcher that caught Rosenthal in a rundown, and another grounder to first for the third out.21 The game was over, and so was DiMaggio’s hitting streak. DiMaggio immediately started a new streak, hitting safely in his next 16 games. Granted, pitchers were less cautious with him and DiMaggio was more relaxed at the plate. But it doesn't strain the imagination to think that but for Cleveland's stout infield on July 17, DiMaggio's immortal number could have been 73. Or at least 57. 1 Mike Vaccaro, 1941: The Greatest Year in Sports (New York: Knopf Doubleday, 2008), 192. 3 Eugene J. Whitney, “Pressure Is Off, So Watch Joe Go,” Cleveland Plain Dealer, July 17, 1941: 15. 5 Joseph Oriti, “Night That Joe DiMaggio’s Hitting Streak Ended Was Magic: Cleveland Indians Memories,” Cleveland Plain Dealer, July 8, 2011, cleveland.com/tribe/index.ssf/2011/07/night_that_joe_dimaggios_hitti.html. 6 Kostya Kennedy, 56: Joe DiMaggio and the Last Magic Number in Sports (New York: Time Home Entertainment, 2011), 302. 8 Michael Seidel, Streak: Joe DiMaggio and the Summer of ’41 (Lincoln, Nebraska: U. of Nebraska Press, 2002), 202. 17 Richard Ben Cramer, Joe DiMaggio: The Hero’s Life (New York: Simon and Schuster, 2001), 185. 23 Eugene J. Whitney, “Keltner ‘Rough On Me,’ Says DiMaggio as Ken Stops Batting Streak,” Cleveland Plain Dealer, July 18, 1941: 16.